After killing his brother, Cain, is condemned to walk on the earth for eternity. He is lead from one major event in the Old Testament to an other, while witnessing the wickedness of God. 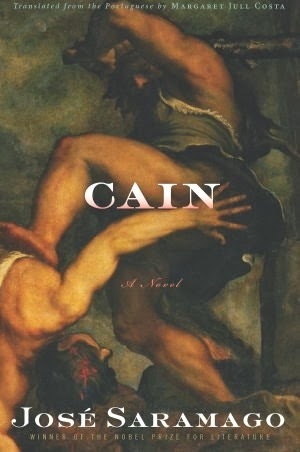 Cain is the last novel the Nobel Prize winner wrote before his death, and it is hard to not read it as a personal argument with God. That doesn’t mean that this isn’t an interesting or good book. I really enjoyed reading it, probably because I always teach the kids about God’s bad side in the Old Testament. Another thing which stuck with me after reading the book, was the style. The first letter in the sentences were written with capital letters, the rest not. And the chapters didn’t have any paragraphs. At first it was hard to get used to, but it totally fits with the story and makes it more intriguing. I kept comparing the book to the Testament of Mary because of the obvious Bible retelling, and I definitely liked Cain better. I think it is because Saramago dared to be personal and controversial and went a long way with the interpretation and retelling of the famous Bible stories. And the ending is brilliant. This is the third book by Saramago that I have read, and my favourite. I definitely must read the Gospel According to Jesus Christ one day. 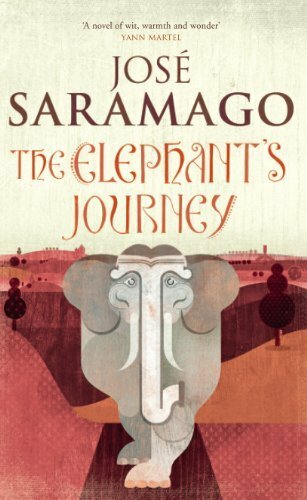 The elephant, Solomon, and his keeper, Subhro, are journeying from Lisbon to Vienna in the 1550s. Solomon is a gift from the Portuguese king to the Hapsburg archduke. The journey of Solomon is a true story, but José Saramago has invented the details about the trip. I enjoyed parts of the books, there were even sentences I found hilarious. But most of the book is sadly boring descriptions about the journey. I would have wanted more fiction, maybe a few amazing conversations between the men taking part of the journey. A few years ago I read Blindness and loved it. And I think that’s why I’m so disappointed by the Elephant’s Journey.